The Gateway School’s therapy team delivers occupational therapy, hydrotherapy as well as physiotherapy to the learners. The occupational therapy available at The Gateway School is designed to enhance each learner’s ability to fully access and be successful in the learning environment. The occupational therapists use purposeful activities to facilitate the learner’s active participation in self-maintenance, academic, vocational pursuits and play or leisure activities that occur in the school environment. 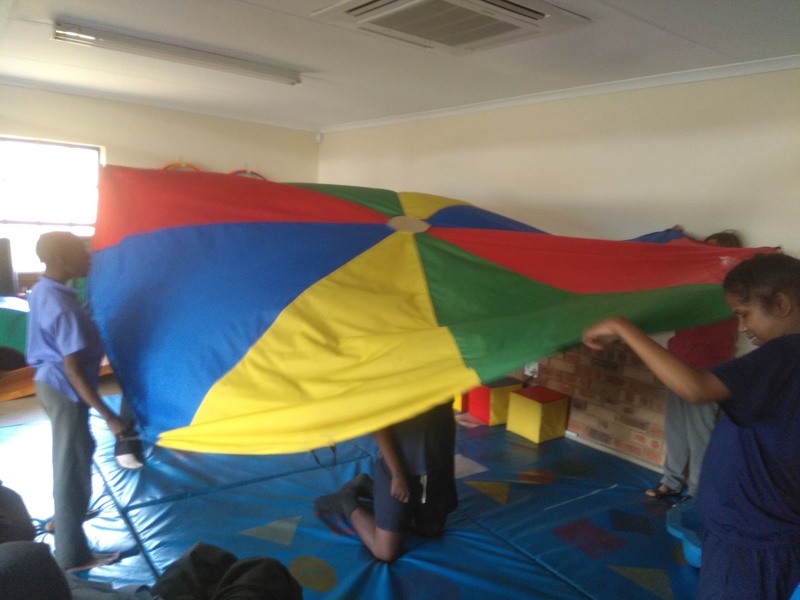 Using direct and indirect services, as well as assistive technology and environmental modifications, the occupational therapists at The Gateway School collaborate with parents, teachers and other educational staff to help implement the learner’s special education programme. Examples of activities performed at therapy include participating in gross motor obstacle courses, messy play, performing visual perceptual games, threading, using pegs and other fine motor tasks. Once the learners’ turn 17 and 18 years old, the Occupational Therapists assist with the implementation of the Individualised Vocational Programme at The Gateway School where those with the potential to work in the Open Labour Market are trained at various businesses outside of the school. Hydrotherapy is available to selected learners of all ages who may benefit from the programme that is run by the therapists. Treatment in water forms an integral part of the total physical and psychological care of many varied conditions and is a very important part of the rehabilitation process. The Physiotherapist at The Gateway School is responsible for assisting with the development of the learners’ physical performance and prerequisite skills for educational activities involving functional posture and movement. The provision of mobility aids and assistive devices allows for the learners’ to gain maximum independence to achieve their full potential.